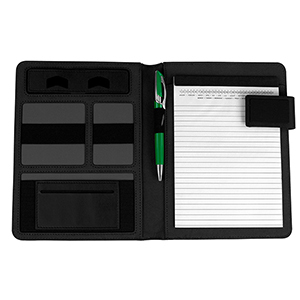 A5 tech portfolio notebook with polyester fabric, magnetic closure, mobile phone stand, elasticised pockets and business card holder. Includes 50 ruled pages. Supplied in polybag. Accessories shown not included.